How in the world is it almost Thanksgiving? It's like once Halloween is over the rest of the year flies by! We are literally days away from THANKSGIVING! 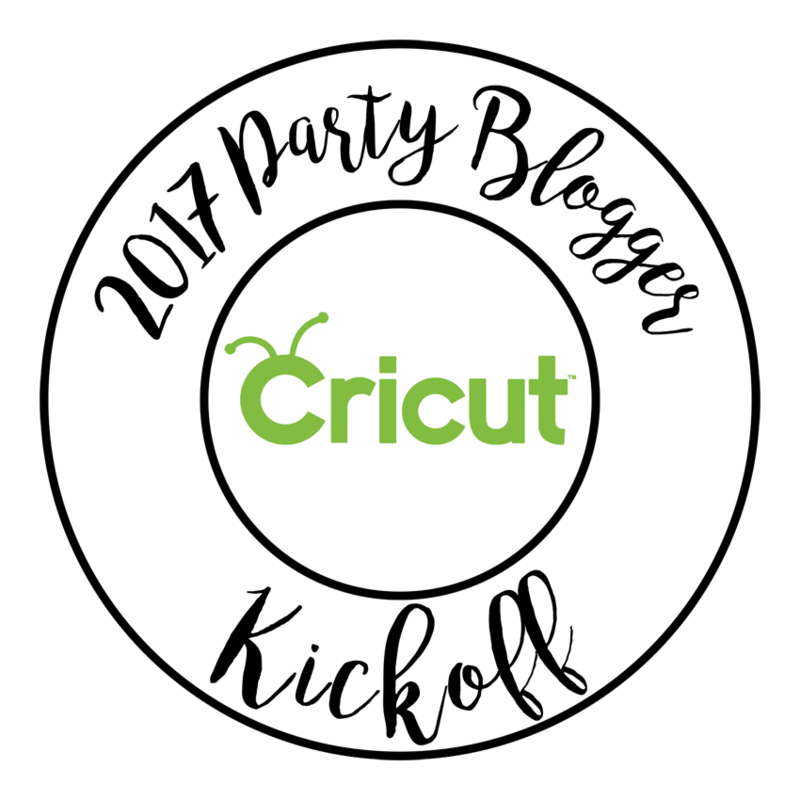 But please don't panic, I am here help you navigate through the next few days with some Thanksgiving inspiration! 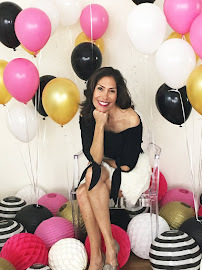 Do you remember earlier in the month, I had a mini styling event with Pier 1? 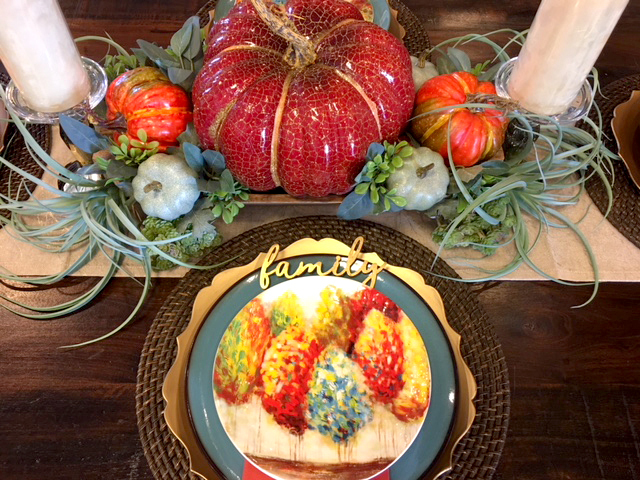 What I didn't share with you was my beautiful Thanksgiving tablescape ~ you can find everything on this table at Pier 1! If you follow me on Instagram, you may have seen a sneak peek. 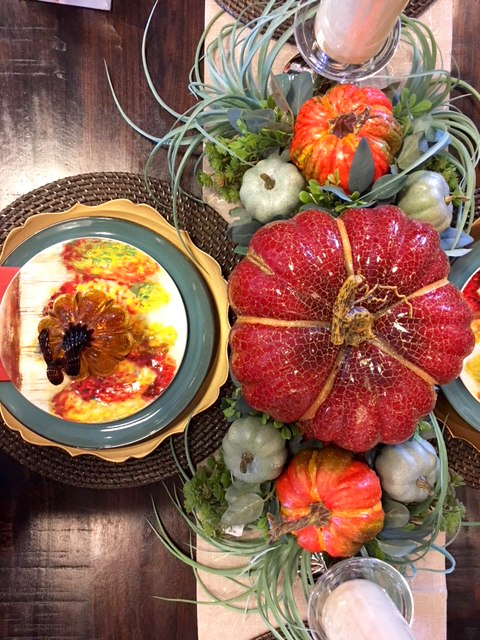 I am pretty sure a beautifully set table makes the food taste better and sets the tone for the upcoming meal! Am I alone in this statement? The formal dining room is the first room you see as you enter my home, and as such, I take great pride in always having a beautiful tablescape. If you want to step up your game, take cues from the changing leaves on the trees this Fall. 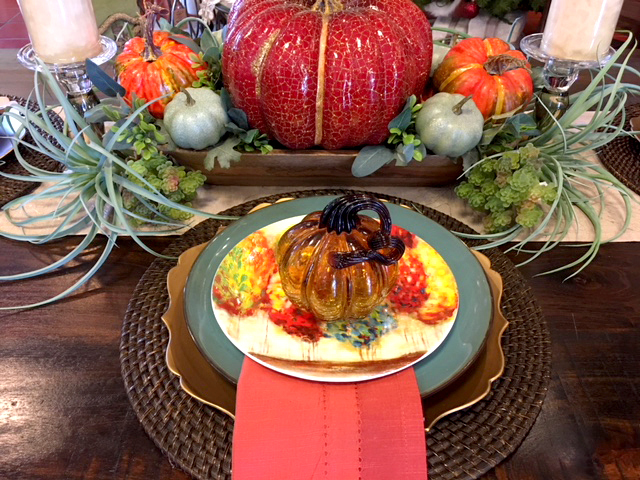 When styling this tablescape, I did just that by bringing in the classic hues and using a mixture of textures such as the tobacco brown dining table, matching rattan charger, gold of this lotus charger, the teal rimmed plates and the colorful salad plates to provide depth! Keep things simple and cohesive, by repeating the same elements throughout the table, it creates a sense of fullness. I did this with the pumpkins and candles, which provided a dimensional feel. Think about what you want as your focal point. I designed the centerpiece first, then I thought about the type of tone I wanted to set for this table. Instead of layering the foundation with fabrics, such as table linens or placemats, I chose a neutral colored runner. The contrast between the textures provides a balance to the table. 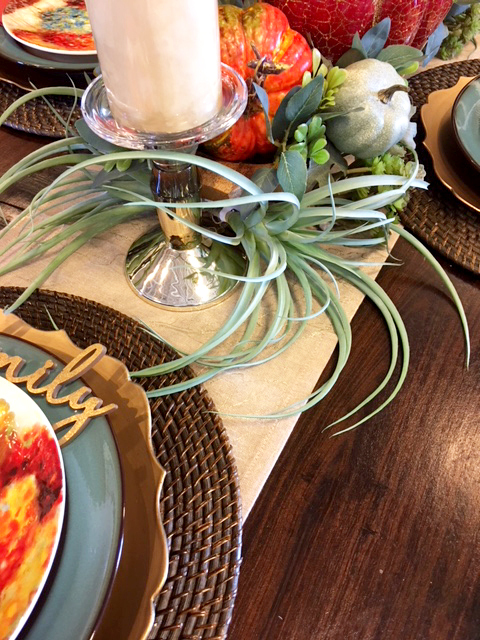 I like to incorporate varying heights throughout my table, without obstructing conversation and adding simple elements to each place setting shows your attention to detail. 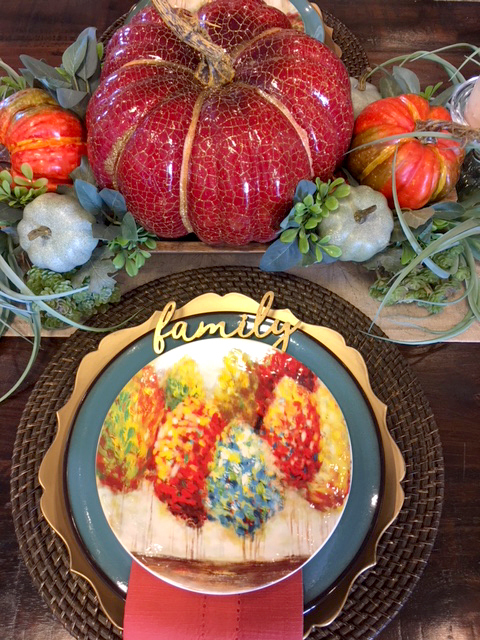 This table is now perfect for a harvest gathering of friends and family! 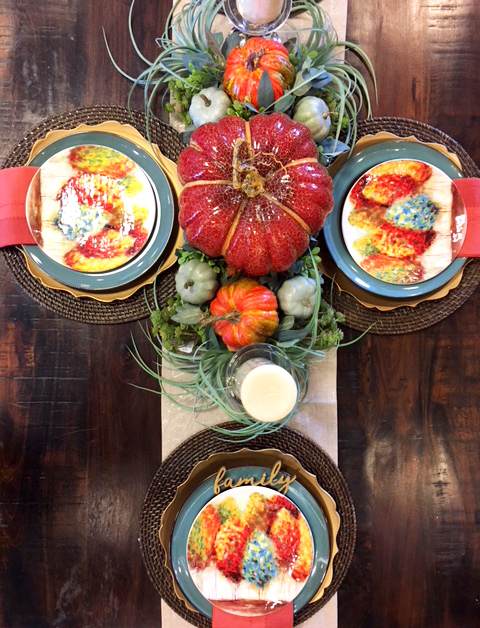 My hope is I inspired you to create a new beautiful Thanksgiving table this season.